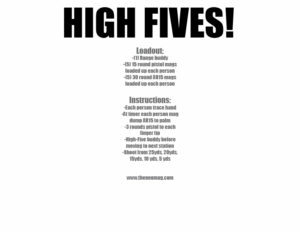 High Fives is the newest in the craze of paper cold start drills. We have everything you need to make the best video for your social media account. 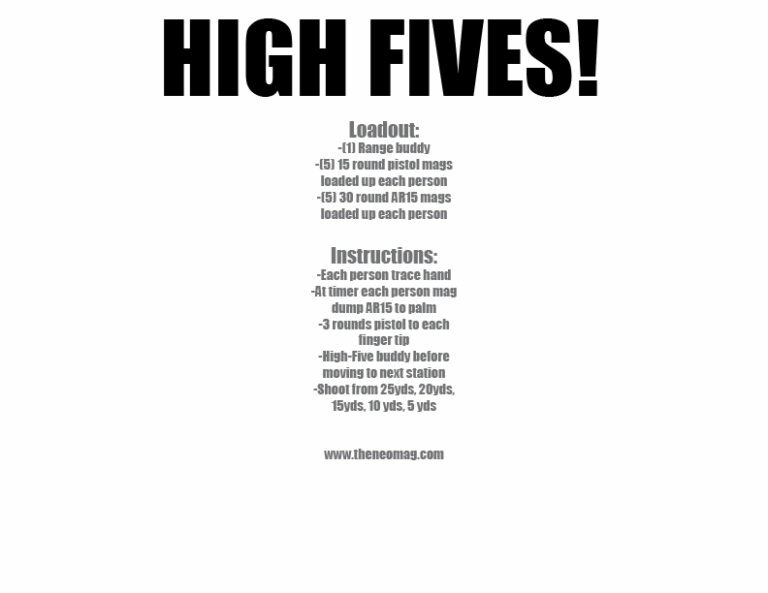 Mag dumps, reloads, transitions, high fives, and mag dumps. Download, video and tag us and show us what you can do! Just right click and save as! You can watch us complete this drill HERE.